Vol I: Why work with our showroom? — Design Professionals Inc.
Home Furnishings & Sectionals for Sale in Minnesota | Design Professionals Inc.
Searching for Home Furnishings and Sectionals for Sale in Minnesota? Design Professionals is a full service Home Furnishings and Wholesale Furniture design showroom located in Minneapolis. Click here to view our blog. Vol I: Why work with our showroom? Over the last ten years we've seen a lot of change happen in our industry. With the introduction of a more savvy internet, networks like HGTV and the instant gratification of social media platforms like Pinterest and Houzz, furniture and design have never felt more accessible. It's our job to facilitate that accessibility for our designers and support them behind the scenes so that they can provide a smooth and positive client experience. When you open an account with us you not only gain access to our showroom resources but to a dedicated team that provides concierge support services including: meticulous vendor selection, a focused inventory on quality and value, vast designer resources including samples and virtual designers, order placement support, the management and handling of follow-up, receiving and even product delivery. We know that quality is not often instant and the things that take time to create are usually worth waiting for. We have worked tirelessly to select and showcase vendors that believe whole-heartedly in this philosophy and are willing to stand by their products. Dependability is a trait we pride ourselves on and one that we look for in the manufacturers we work with. We know the importance of your bottom line. In a world where everything seems to be for sale on the internet we understand that your business as a designer thrives on profit. As one of the most competitive full-service, wholesale showrooms in the Midwest we can offer our account holders some of the best discounts in the industry because our vendors have the confidence in us to serve and support you. We're here to handle the logistics. It's important to us that our designers spend their time doing what they do best: designing. When you work with our showroom we handle logistics like order placing, COM fabrics, vendor follow-up, tracking, receiving, etc.. Finally, we love our designers. You are what has kept us excited and thriving in this industry. Those that have been clients for decades have become like family, equally can't wait to meet and service a new generation of interior designers. 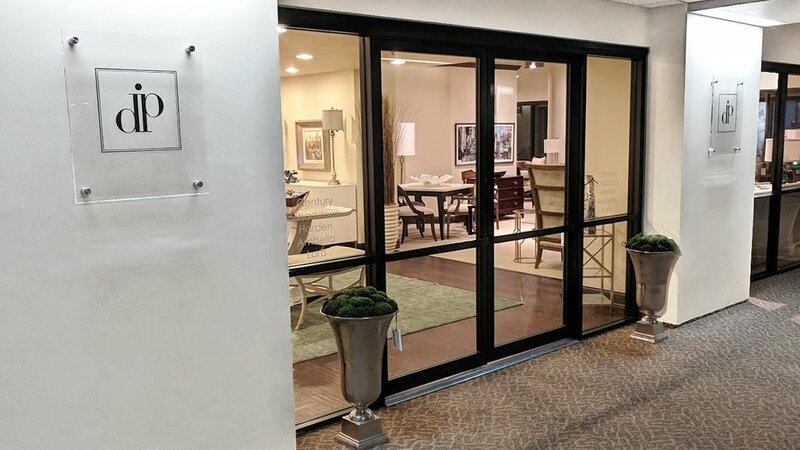 If you've never been in to our showroom, please stop by and say hi. We'd love the opportunity to meet you and learn more about how we can support your growing business.